The handling of information by governments and corporations has become a sensitive legal issue, because people feel increasingly uncomfortable with the capacity of data analytics to predict behavior. These violations of privacy are creating precedents for serious abuses. 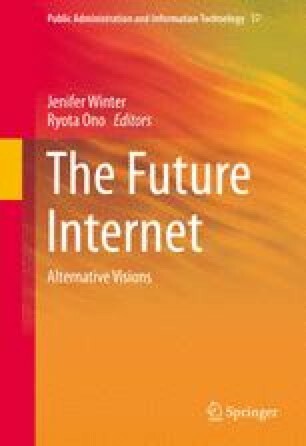 Possible futures of the Internet must deal with the tension among security, economic incentives, and personal privacy. The Internet, as a political-economic space, establishes a new frontier where the relationship between constitutional law (e.g., the political dimension) and regulation (e.g., the economic dimension) has the potential to produce a new legal framework that takes into account developments such as metadata. This chapter reflects on the changing nature of political interactions via the Internet. The rise of metadata and related privacy implications are discussed. Then, legal and regulatory responses are outlined. Finally, three scenarios related to future of the Internet are presented.